Putnam Memorial State Park was Connecticut’s first state park, but by the time it was set aside for the public in 1887, it had been more than 100 years since fires burned there to warm the troops of Gen. Israel Putnam during the bitter winter of 1778-79. That winter, General Putnam led more than 3,000 troops of the Continental Army into three separate valleys of north Redding, where they built temporary huts for protection against the elements and lived for six months—from Nov. 7, 1778 to May 25, 1779—before engaging the British that spring. 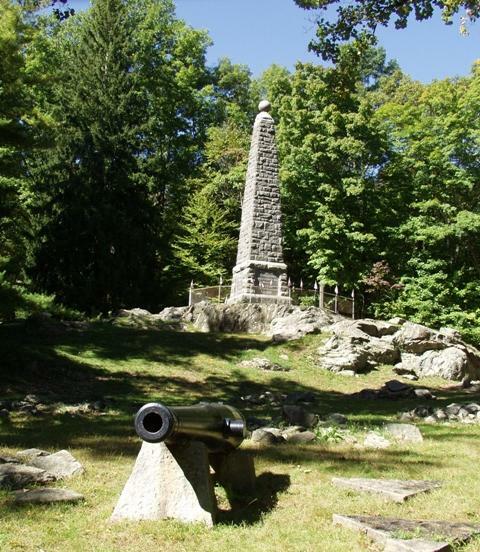 “Putnam’s Revolutionary War Winter Encampment” relates the story of that fateful “winter sojourn in the wilds of western Connecticut,” which is also the topic of an illustrated talk and book signing Mr. Cruson will conduct at the Gunn Memorial Library in Washington on Saturday, March 10, at 1 p.m. Hosted by the Gunn Memorial Museum, the event is free and open to the public. The snow date is Saturday, March 17, at 1 p.m.
A long-time Newtown resident who retired in 2005, Mr. Cruson has conducted extensive research and archaeological investigations in Easton, Redding, and Newtown, about which he has also written at length. To date, he has penned “The Prehistory of Fairfield County”; “Newtown’s Slaves: A Case Study in Early Connecticut Rural Black History”; “Newtown: 1900-1960”; “A Mosaic of Newtown History”; “The Slaves of Central Fairfield County”; “The Newtown Savings Bank,” and histories on Newtown, Redding and Easton in the Images of America series. In addition to his affiliations with several local historical organizations, he is a member of the Society of American Archeology, and The Archaeological Society of Connecticut, for which he serves as president. 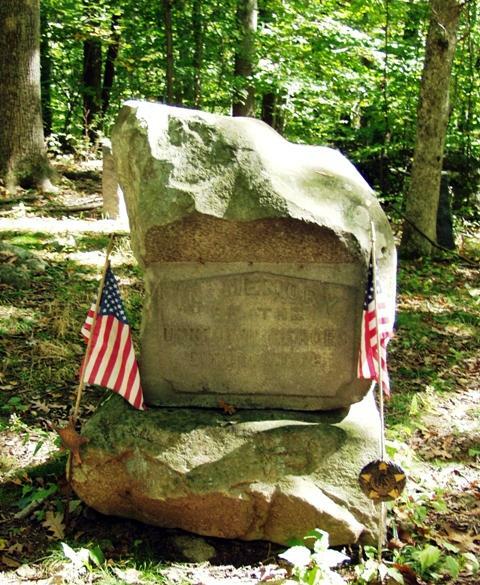 There were three encampments in Redding, which quartered brigades of more than 3,000 troops under Gen. Israel Putnam’s command, including members of the New Hampshire Brigade of Enoch Poor and the Second Canadian Regiment of Moses Hazen. 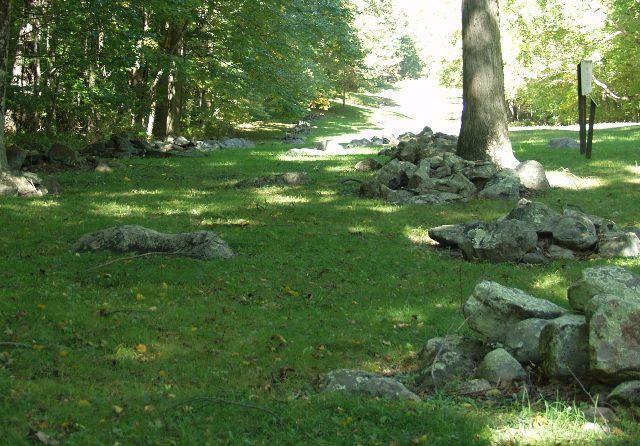 The camp consisted of log huts measuring 14-by-16-by-6 feet high (each had a fieldstone fireplace), arranged in long rows, as evidenced by the remains of stone firebacks, all that is left of them. Typically, a hut was occupied by either 12 soldiers, or a smaller number of officers. Perhaps the biggest discovery was that a cemetery, marked by a tomb of unknown soldiers, was not a cemetery at all. When the original commissioners interpreted the remains of above-ground structures, they believed the area to be so and designated it a cemetery. Evidence of bedrock outcroppings, Colonial burial traditions and dig discoveries said otherwise. “We knew almost immediately it could not be a cemetery,” Mr. Cruson noted. Instead, it is believed to be an officer’s quarters. The positioning, Mr. Cruson said, would have been ideal for an officer’s quarters because he could see the enlisted men below. There were also no human remains uncovered. They did, however, unearth a doubled-ended officer’s hut with a chimney at both ends and a five-foot fireplace. “His quarters were very neat, which is bad for archaeologists, who thrive on sloppiness,” Mr. Cruson said with a smile. However, digs uncovered evidence of lead pistol balls—a pistol being an officer’s weapon of choice—as well as gunflints and remnants of meals eaten in the officer’s hut. Mr. Cruson also noted that the odds of anyone dying at the encampment were pretty slim, though they left the tomb of the unknown soldiers untouched to commemorate those who served there. “Soldiers more likely died in Danbury at the hospital there,” he said. Though Mr. Cruson and his team were unable to confirm the exact location of the magazine, he said commissioners incorrectly recreated an officer’s barracks on remains of a foundation a short distance from a site marked magazine. Mr. Cruson believes the magazine would have been located farther back and built into the hill, far from the encampment sites. They did find evidence of an artillery park where the replicated guardhouse is situated, where remnants of expended cannonballs were discovered. It’s slight evidence, he said, but its position makes sense. And huts were not destroyed when soldiers left, as initially assumed. Rather, it is now believed they were salvaged by the landowner, who took whatever wood was usable and burned the remains, which were, by that point, starting to rot. In writing the book, which took a year, Mr. Cruson depended not only on archaeological findings, but letters, diaries, orderly books, teamsters’ orders and muster rolls, adding a more human element to the park’s history. Going through these logs allowed Mr. Cruson to see who arrived at the encampment and when, their particular posts, who was sick and who had deserted their posts, allowing him to recreate the encampment population. Of particular help were the diaries of Lt. Deerborn and Sgt. Maj. John Hawkins, a member of Col. Moses Hazens’ regiment. The latter diary came from Pennsylvania just before the first digs at the park began.